This post is a part of the first day of my trip to Solo. I watched this performance of Wayang Orang Sriwedari in Taman Sriwedari at Jalan Slamet Riyadi. The show starts around 8:30PM everyday (except Sunday ~ Thanks to Sony for the info :)), and the entrance fee is IDR3,000. Though it does not dramatically change yet, but I am glad to see the current life of Wayang Orang Sriwedari. The government of Solo city or Surakarta has given more concern toward its existence through the renovation of physical thing (the building is more than 100 years) and the prosperity for the players. My foreigner friends are also happy to watch it though they don’t know the language; just like you 🙂 It reminds me the concept like in Chinese Opera in Singapore (Mandarin language) and Kabuki in Japan, though people don’t know those languages, they can still enjoy it as part of art through the visual and music instruments. Another thing that makes me happy is now the players are “brave” to perform everyday, except Sunday. Whatever the numbers of audiences, they go on. In fact, it gives a color for Solo, in the context that people who visit Solo has an option for regular daily cultural entertainment. By the way, I have seen your post as well about Wayang Orang in Gedung Kesenian Jakarta. It is interesting. 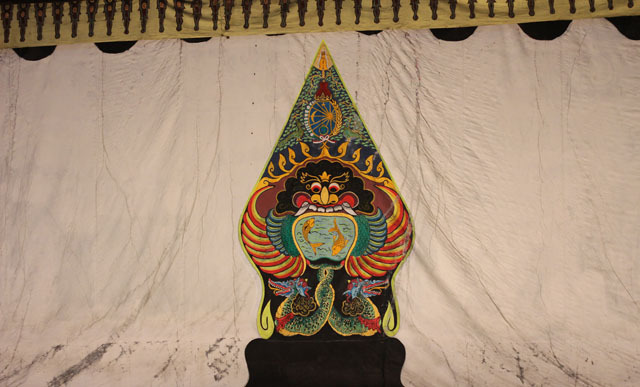 Recently, I often see the articles in newspapers about the spirit of young people, bureaucrats, and even socialites to innovate Wayang Orang performance to the modern audiences in Jakarta and surprisingly many people warmly welcome it. May it become inspiration for Wayang Orang Sriwedari as well and attract more people to watch it. Nice post Timothy, keep waiting for your following stories. Hey hey … no need to say sorry. You’ve shared some info that I didn’t know. Yups, Wayang Orang Sriwedari until now (2012) has existed for 102 years. Did you go to backstage? 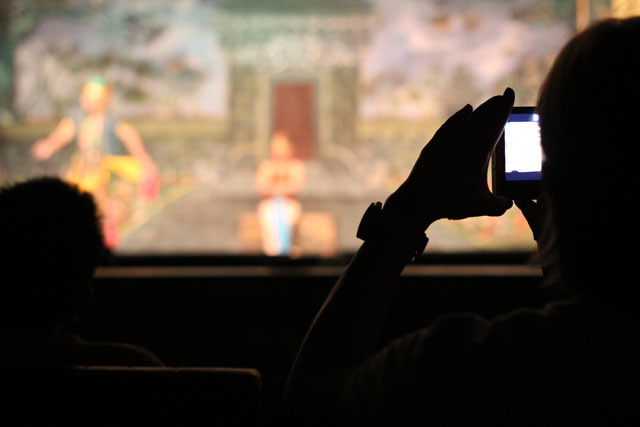 Some people go there to observe about “behind the scene” of Wayang Orang and take some photos when they do make up. Actually me too 🙂 -> Timothy Wirjo Pawiro … how about that? When my late grandmother was still alive [her name is Salimah binti Muprat btw], she used to teach me several words and simple sentence in Javanese language. So my vocabulary is very very limited. But when I ‘balik kampung’ for lebaran, normally the old folks will speak in the language. So, when we shake hands for forgiveness, I would just nod coz I don;t understand a word. The only word that I noticed is ‘gedi’ to say that I am big now. Haha. I know numbers from 1-10 [siji, loro, telu, papat, limo, nenem, pitu, wolu, songo, seploh], wes mangan, wes madang, urung, ngompol, goblok, sa iki, bocah, gedi, cilik etc .. but I couldn’t make a proper sentence or start a conversation in that language except for: wes mangan/madang? wes/urung.. hehe.